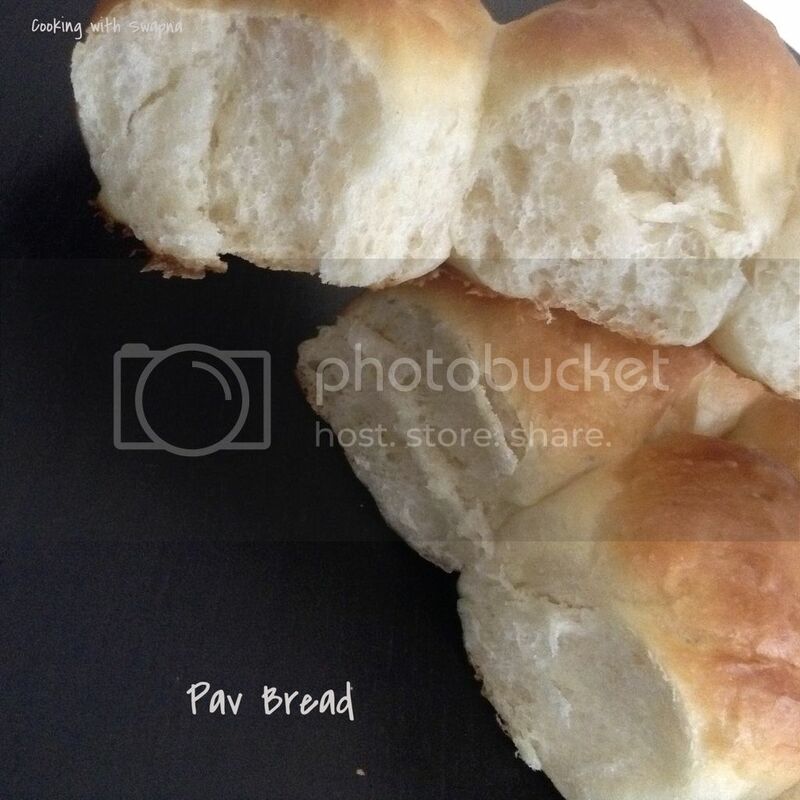 Pav is an Indian bread and very famous street food served with bhaji or as vada pav. 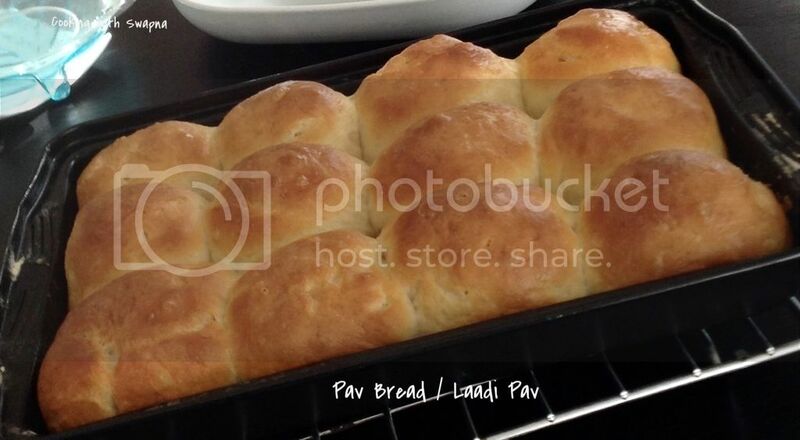 These homemade pav are really soft inside and have a crispy texture on top. It has goodness which would meet the standards of any delicate royalty, here I can surely say it melts in your mouth. 1. Warm the milk and mix sugar & dry yeast. Keep it aside for 10 mins until it becomes frothy. 2. Meanwhile in a large bowl add flour, salt, milk powder and whisk together. Once the yeast mixture is ready, add it to the flour and mix together to form a sticky dough. 3. Mix the butter to the dough and start kneading the dough until it becomes a soft dough about 15 mins. 4. Place the dough in the greased bowl and cover it with wet cloth until its double in volume. Then knead the dough again and divide the dough in the equal portion. Roll each portion into a smooth ball. 5. Place the balls in the greased baking pan and cover it with wet cloth for about 45 mins until its double in volume. 6. Brush the tops with milk. 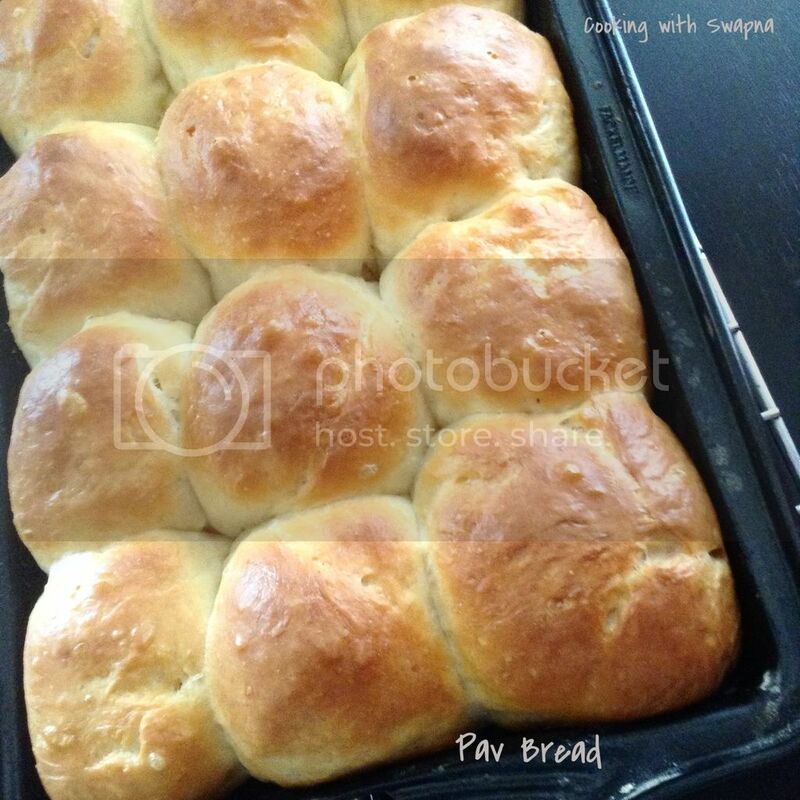 Bake it for 18 mins at 200 C. Once baked, brush the top with melted butter and allow it cool. 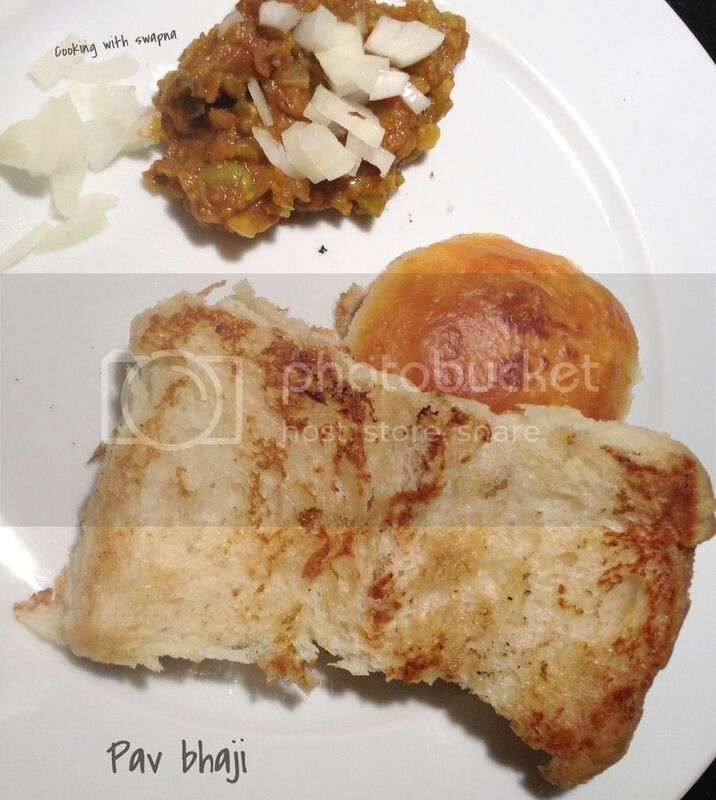 Enjoy the buns with Bhaji.